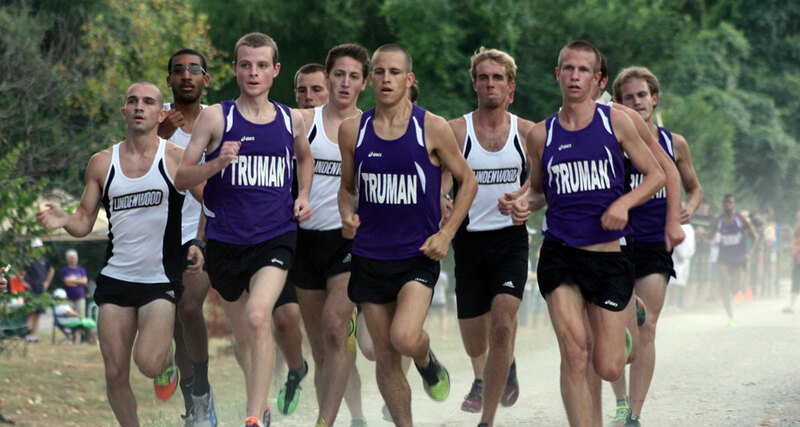 Junior Brad Hart, along with seniors Andrew Sheets and Chad Petrofsky, paced the Bulldog men’s cross country team in 2013. Hart had two overall first place finishes and was the top Bulldog in five of the six events. He was second overall at the Forest Park Festival and was Truman’s top finisher in their first GLVC Championship meet in 18th position. Petrofsky was third overall as Truman took the team title at the Haskell Indian Nations Invitational and placed 71st in the NCAA Regional. Sheets was second on the team in five of six meets and had three top 10 overall finishes. The women’s cross country team placed seventh in their first Great Lakes Valley Conference Championships this fall. They won the Haskell Indian Nations Invitational, placed second in the Forest Park Festival hosted by Saint Louis University, and won a dual meet with Lindenwood University. Junior Emma Burditt was the first Bulldog to finish in four races, including the team’s top placer at the NCAA Division II Regional. Burditt’s best overall finish was second at the Haskell Invite. Freshman Laura Tarantino was the first runner to cross the finish line at the Lindenwood dual to start the season and finished 20th at the GLVC Championships. Tarantino and senior Katie Hirsch each had three top 10 overall finishes.